Happy New Year and welcome to the fourth edition of our Friends of CCQ newsletter! 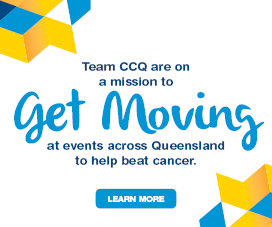 2018 was a great year for us at Cancer Council Queensland. I feel very proud of what was achieved and very appreciative of the hard work put in by employees, volunteers and supporters. Wonderful outcomes are only made possible due to the efforts of each person at CCQ and the spirit in which we work together. It’s through our collective impact that we make the greatest difference. 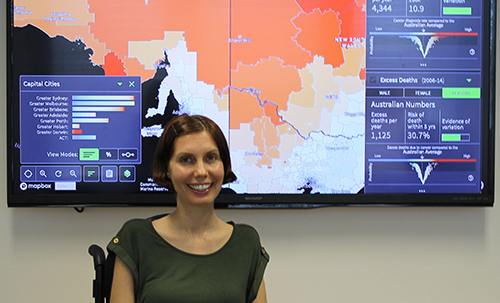 We started off January on a high with the news that Dr Susanna Cramb, Spatial Modeller from our Descriptive Epidemiology team has been named one of the 2019/2020 Superstars of STEM by Science and Technology Australia (STA). Entry into the program is highly competitive and she will spend the next two years undertaking activities that aim to remove society’s gender assumptions about scientists and increase the public visibility of women in STEM. I’m looking forward to sharing more exciting updates with you throughout the year and continuing our amazing progress. Dr Cramb sees the importance of communicating her research, and believes all scientists should see that as a priority. For more information on the Superstars of STEM program, visit scienceandtechnologyaustralia.org.au. 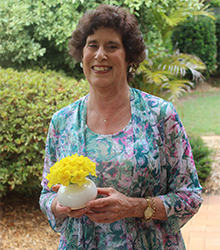 Rebecca Bell has volunteered her time for years with Cancer Council Queensland. Now, she wants to do even more. “I’ve been a cancer carer and support person since I was seven years old … My own dad had prostate cancer with secondary cancers,” says Rebecca Bell. Rebecca is inspired by the way research has changed the face of treatment dramatically since she lost a good friend in high school more than 50 years ago. Most of all, she says, the legacy she wants to leave is kindness. 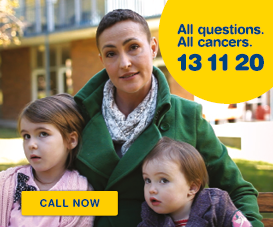 A gift in your Will to Cancer Council Queensland is a lasting legacy that provides hope for a cancer free future. Through your Will, you can help fund lifesaving cancer research and support services for patients and their families. Welcome to meet our people, our regular post highlighting the people who make CCQ the great place it is. We’ll bring you frequent profiles so you can get to know everyone from Cairns to Southport. This week we have Danny Youlden, our inspiring and ever so knowledgeable Senior Manager from The Childhood Cancer Research Team. How would you describe your job to someone in a different field / not familiar with Cancer Council Queensland? My primary role is to analyse and report on data that is collected in the Australian Childhood Cancer Registry, which stores details on every child in the country who has been diagnosed with cancer since 1983. 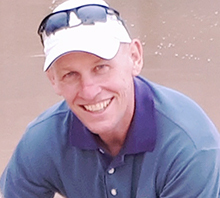 The purpose of my job is to give people a better understanding of these rare but significant diseases, provide information that can be used for advocacy and increasing awareness, and ultimately to improve outcomes for patients. My favourite hobby is: Golf. I don’t play regularly and I’m not very good at it, but golf courses are very nice places to walk around and there is often that one incredible shot that brings you back the next time. A skill I wish I had: I would love to have a lot more natural musical ability than I do (i.e. almost zero). What I enjoy most about my role at Cancer Council Queensland is: Having the opportunity to collaborate on a variety of research studies with some very knowledgeable and dedicated people who are great to work with and from whom I have learned a great deal over the last few years. There is always a sense of accomplishment that comes with getting our findings published. If I could change careers I would: Work with animals – maybe helping to train guide dogs or a job at Australia Zoo (preferably in the marsupial section rather than the Crocoseum). My worst habit is: Plenty to choose from – I’ll go with something on the safe side and say that I can be a touch pedantic at times. Most memorable moment at Cancer Council Queensland: Helping to develop a comprehensive set of rules for cancer registries to assign stage at diagnosis for childhood cancers. I’m still amazed that a document developed and tested over many months right here at CCQ has been translated into several languages and is now being used throughout the world, including places such as Europe, South America and Africa. 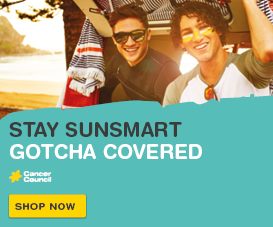 The interactive digital cancer atlas shows national patterns in cancer incidence and survival rates based on where people live for 20 of the most common cancers in Australia – such as lung, breast and bowel cancer – likely reflecting the characteristics, lifestyles and access to health services in the area. “In 2018 an estimated 138,000 Australians will be diagnosed with cancer, but we know that some people face greater risks of diagnosis and death than others, due to a mix of lifestyle characteristics, behaviour, genetics and other unknown factors. Explore the atlas at atlas.cancer.org.au.